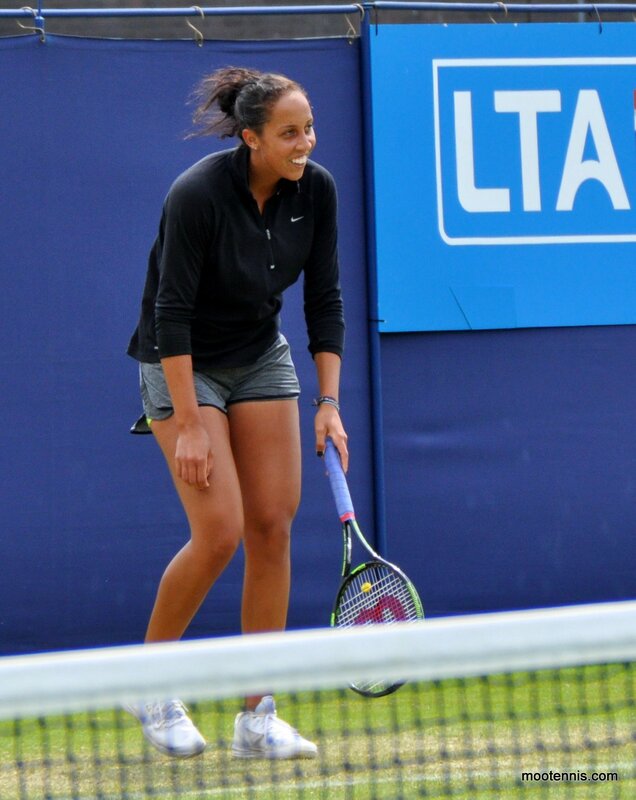 On the next court to Aga was Madison Keys, who missed Birmingham due to illness. 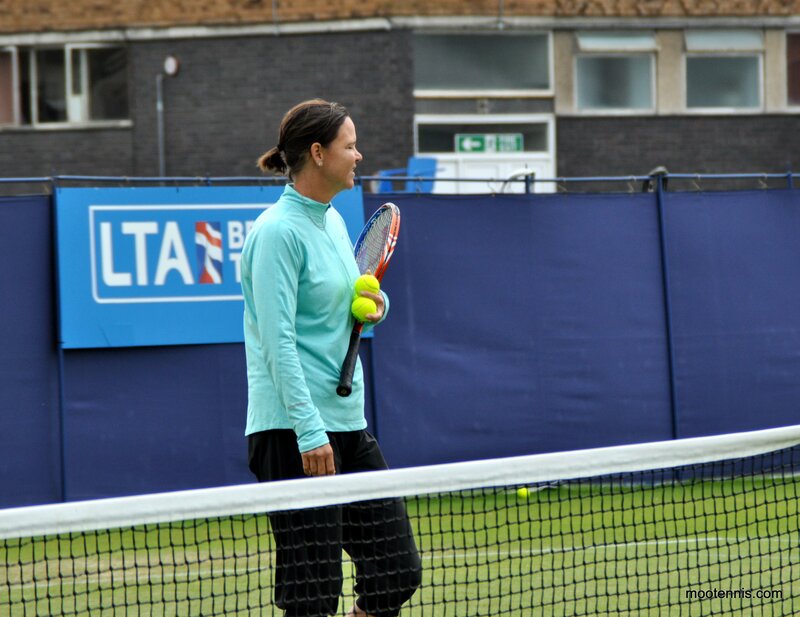 Lindsay Davenport was also there which was cool to see. I only caught the end of their practice but Madison was fun to watch. There was one shot which she messed up and she collapsed to the ground and was smiling. 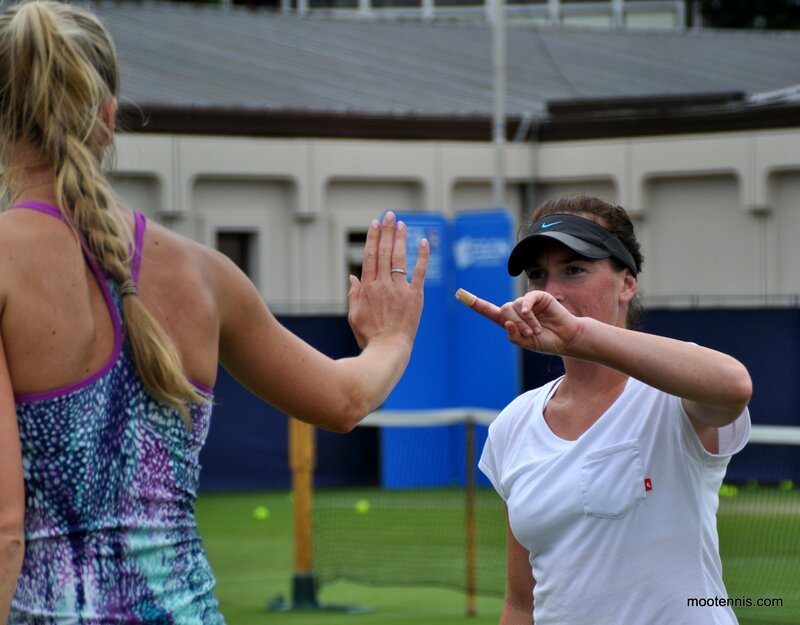 Naomi Broady and Madison Brengle were practising together for ages and seemed to be having fun. I like Broady who has a funky one-handed backhand. She doesn’t seem to take herself very seriously and although that there may be an indication of why she has never really made it big, I like her personality. Her serve can do some real damage on this surface. Broady and Brengle seemed really friendly with each other. Caroline Garcia and Svetlana Kuznetsova were practising together for a while and seemed to be playing a practice match. I kept seeing Caro’s dad walking around. I watched CarGar last year play an absolutely horrendous match against Sloane Stephens, but I think that was just a bad day at the office. Random note – I didn’t realise that Kuznetsova had a massive tattoo on her back! This is the first time i’ve seen Sveta live for a while. She’s a hoot. Later on, she sat down next to Wozniacki and Svitolina’s practice and was eyeing up their practice. 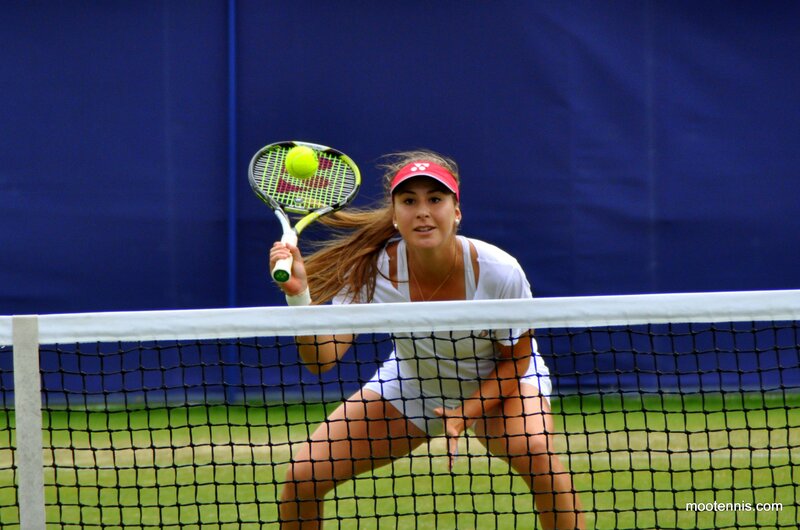 I stood and watched a lot of Belinda Bencic‘s practice with Zarina Diyas. They started playing a practice match which was quite interesting. 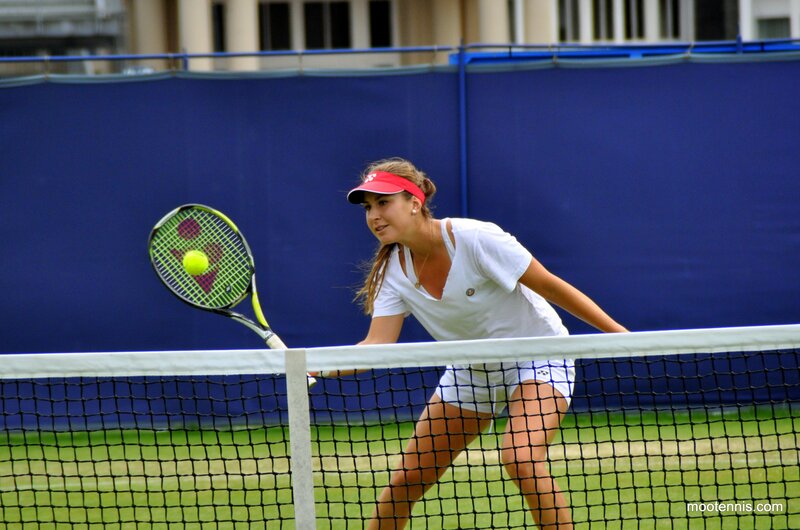 Diyas was owning Bencic and I was quite surprised how well she was playing. Her coach told her to stop playing everything cross court and go for more down-the-line shots. 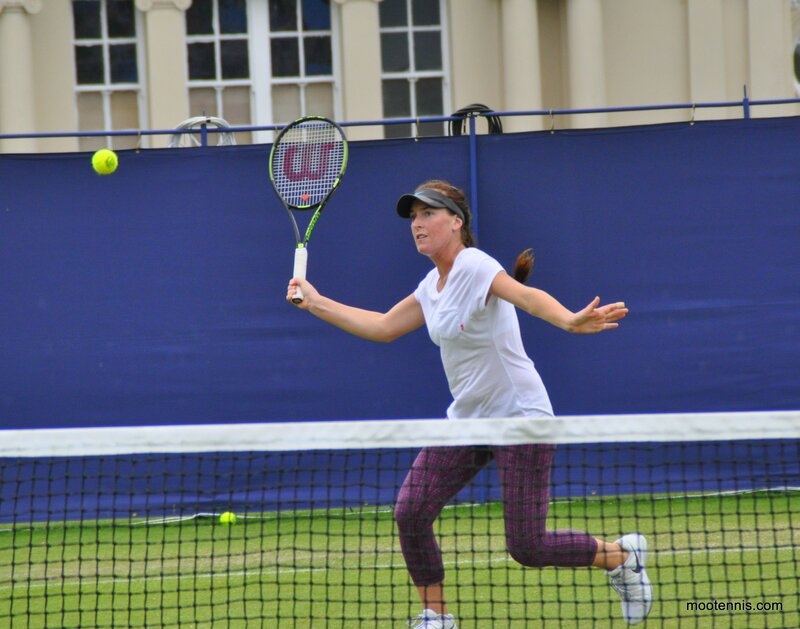 When I originally turned up, things didn’t seem right with Belinda as she was lying on the grass and having a heated discussion with her hitting partner (?). Once she started playing, she was fine and all smiles! She’s solid at the net and I got some nice shots. Things turned a little sour though between Belinda and her dad. Belinda was properly shouting at him and launched a ball into the barrier in frustration. Obviously, I couldn’t understand what they were saying! It was really awkward… I didn’t know where to look! I was the only person watching at the time so looked in the opposite direction! After their little exchange, Belinda wasn’t playing particularly well. However, I could see her flat strokes are effective on this surface and I have high hopes she can do something notable at Wimby. I was really pleased to see Dominika Cibulkova back in action! The Slovakian player hasn’t played since Antwerp after she had surgery on a right achilles injury. Cibulkova was practising with Tsvetana Pironkova. Cibulkova seemed to be hitting the ball really well and they were both pretty accurate. 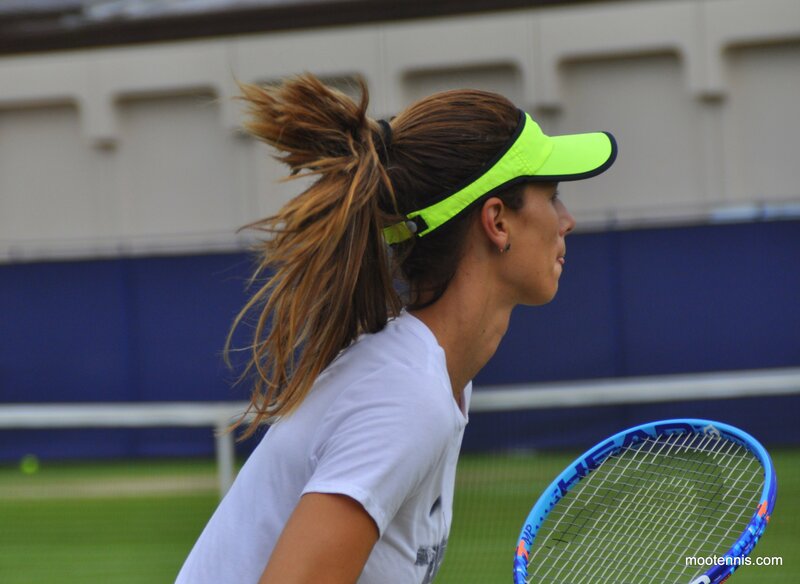 Pironkova’s game is pretty magical on this surface. 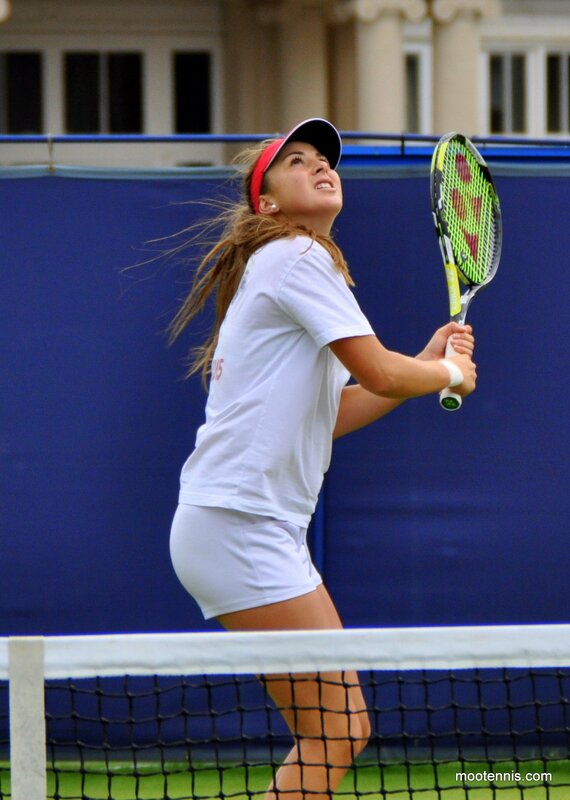 It’s hard to say until we see Domi play a match to see what level she is at. I later saw Domi in the street outside of my hotel! I also randomly saw Lesia Tsurenko and her team as well in Eastbourne high street. 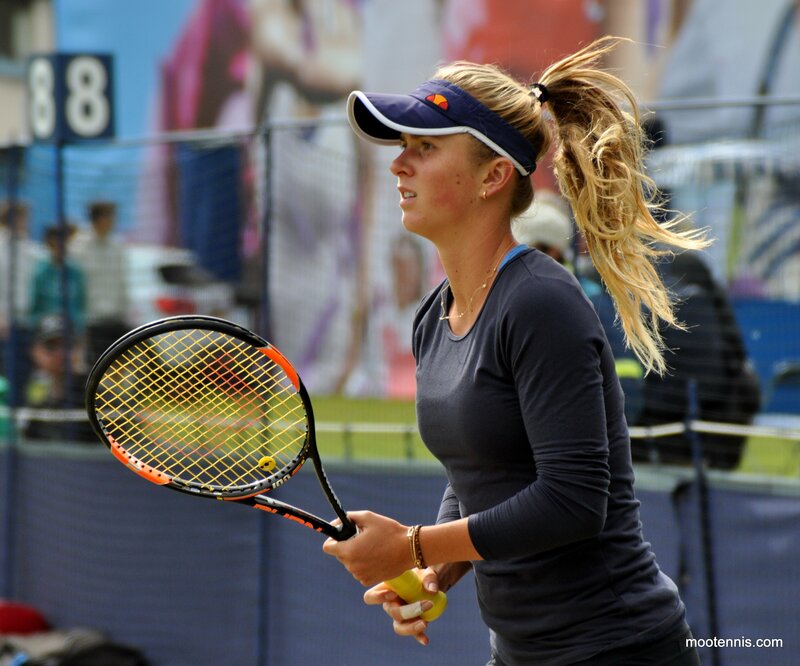 More from the Eastbourne practice courts tomorrow! 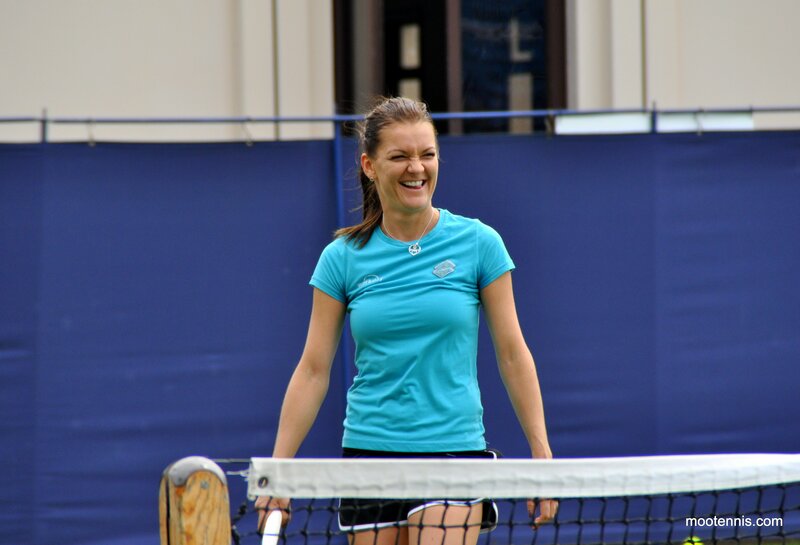 I’ll be posting from my Twitter account @MooTennisBlog so please give me a follow if you aren’t already! 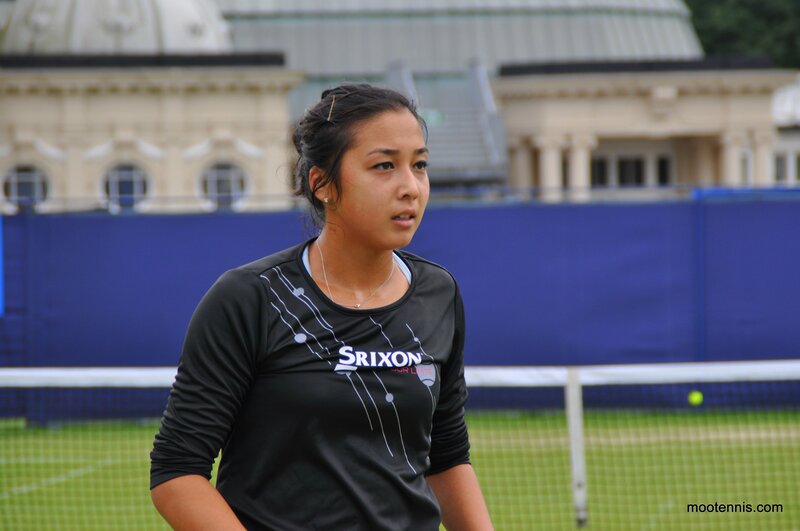 June 20, 2015 in Eastbourne, Tournament Report, WTA.